As part of the ongoing relationship with leading fitness equipment supplier Life Fitness, 100AND10% provided design and copywriting support to activate Life Fitness’ sponsorship of the ukactive National Summit 2017. The annual event, which took place on 1st November in Westminster, is the biggest gathering of physical activity stakeholders from across the UK and this year focused on the role of physical activity as a solution to the collective health and wellbeing of the nation. For Life Fitness, the summit provided an opportunity to showcase its extensive experience in the active ageing sector and engage with more than 600 delegates who attended the leading policy event. Central to the project was the ‘Moving More, Ageing Well’ report, delivered by ukactive in partnership with Life Fitness. 100AND10% led on the design of the 32-page document, incorporating elements from both brands to deliver the comprehensive report which was launched at the summit. 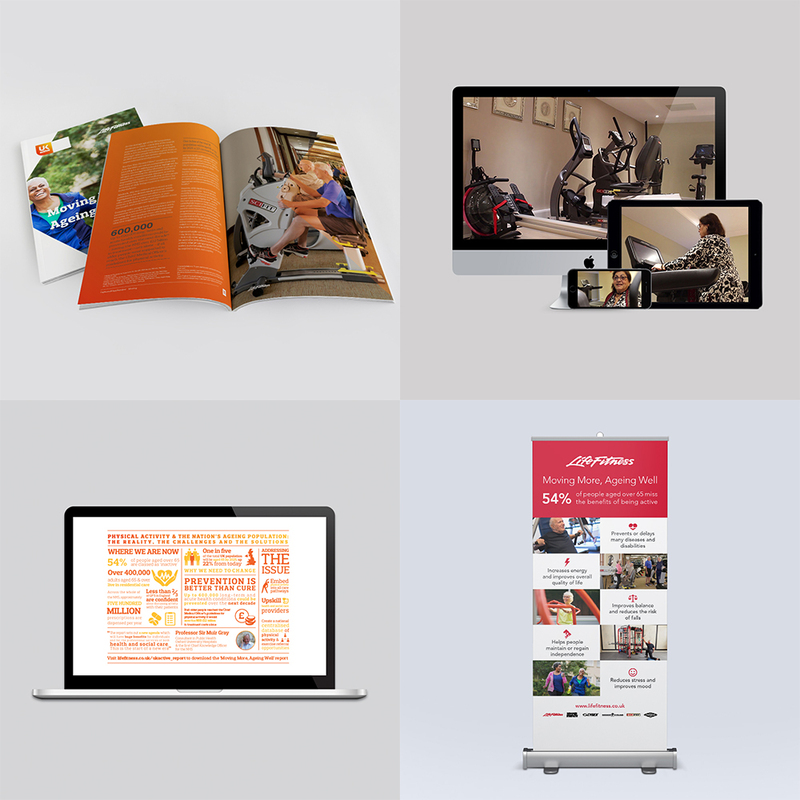 Alongside this, 100AND10% also provided copywriting support as part of Life Fitness’ contribution to the report, plus print and digital marketing collateral and a video case study for Life Fitness’ digital channels. 100AND10% has worked with Life Fitness since January 2016, when the organisation acquired longstanding client Cybex. Since then, 100AND10% has continued to provide extensive marketing support to Cybex and work increasingly closely with Life Fitness across its wider brand portfolio. This also includes a separate retained agreement for design support across all Life Fitness brands. Having also previously been commissioned to support ukactive on design work, 100AND10% were in prime position to deliver the project. Click here to view the ‘Moving More, Active Ageing’ report.